Recently, I’ve been working on the ConFuzzled Registration System. I’ve been wanting to have a go at developing a replacement for the existing system (which we borrowed off Eurofurence’s) since last year and only once I really got in to the project did I really see how much work was involved in making a full web application of that size with such mission critical demands. Its also helped me value the act of taking a breaks, both mentally to clear my head when I get frustrated and physically to help prevent my hands locking up with RSI. The latter I’ve tackled by using a nice little program called WorkRave that tells be both how long I’ve been using the system and prompts me to take short and longer breaks throughout that day (or night). The former I’ve dealt with by getting a copy of Project64 and an old copy of a Super Mario 64 ROM I found from the files I recovered from my old P: drive. Getting hold of a cheap Xbox 360 Wireless Controller Receiver for Windows from eBay meant I had proper analogue control too. For me, Mario 64 is a special game for me as it was the first current generation home console game I ever owned and played. Before that I had a Game Boy Pocket, but unlike most of my peers I never grew up playing on the NES, SNES, Master System or Mega Drive*. A few years prior we had been given a NES, but it had only Mario 2 and that was well in to the time when the SNES was in its final years. The level of exploration and wonder I got every time we (myself and my brother) entered a new level or unlocked a new part of the castle was something that is very hard to replicate. I remember that when we first defeated Bowser, it came as a complete shock to us that we hadn’t just beaten the game and that was only the first quarter. Every new adventure or story based game I play offers a little taste of that feeling again but very few offer the same amazement level that came with the first full 3D Mario title and its something I’ve been hunting for ever since. 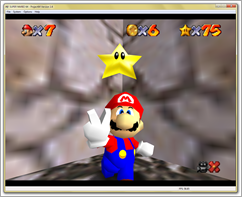 Even Super Mario Galaxy 2, a worth successor in terms of game play to Mario 64, is good because of the fluidity and refinement of the controls, not its exploration and the hunting of secrets. 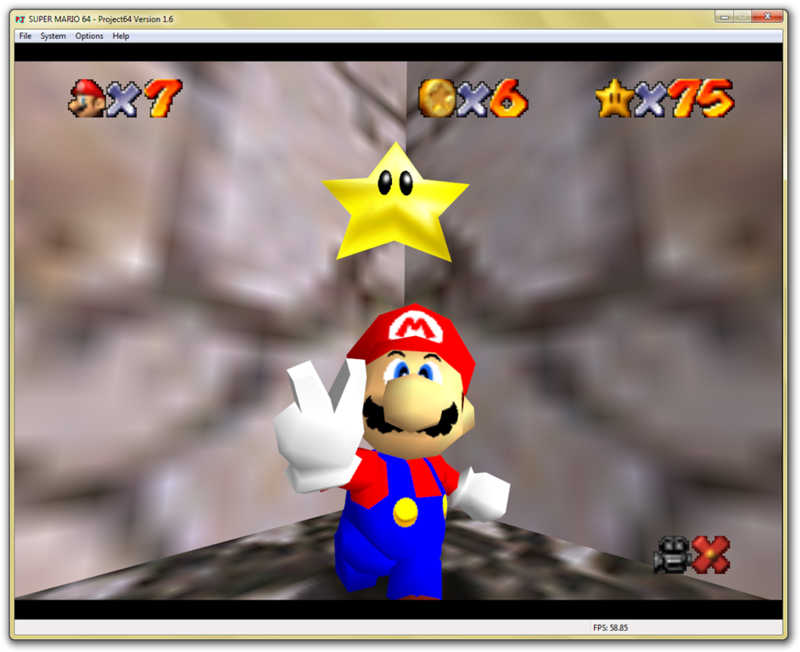 Revisiting Mario 64 now, where every level layout is known and every Star a quick look up on GameFAQs if its being a little difficult, is more like a visit to place you grew up in and slipping in to a comfy old pair of shoes. Controlling Mario, like riding a bike, isn’t something you forget and the little moments like catching the bunny in the basement or riding a secret slide still make me smile. The vastness of unexplored virtual worlds is what brings me back to titles more than anything else and I think once the Registration System is done, I’ll need to go plant a flag and see what exactly is at the end of Galaxy 2. Nidonocu.com running WordPress using Aurelia.